START WITH WHAT YOU KNOW! THE BEGINNING OF THE EXPERIENCE! Now that your creativity has been tested and applied to the first two (or three if you have a tangible product) sections of your business plan, it is time for the hard work to begin! If you think about this logically, a business plan has a very natural progression. First, in the ES, you grab the investor’s attention. You make him/her/it want to know more about your product. As such, in your Product Presentation section, you describe, in detail, your product from beginning to end. Next, the investor thinks to himself/herself, “How are we going to sell this product?” In response to this question, you wrote your Marketing Plan. Your Marketing Plan illustrates your plan to sell your product/idea/concept. Next, the investor is going to wonder, “Will this product/idea/concept sell?” In response to this query, you present your Market Analysis section. The Market Analysis section of your business plan presents data, figures, and market trends that prove that your product/idea/concept will sell. Does this mean that you leave out any negative data/figures/trends that appear to “hurt” your product/idea/concept’s marketability? There is no simple answer. Two schools of thought exist on this dilemma. First, some believe that you should leave out any adverse information and try to paint the best picture possible for the investor. In my opinion, this option leaves you open for attack. An educated investor might ask you about this negative data and how it will affect marketability. If you have not addressed this issue, you may be left speaking on the fly or worse, saying nothing. Second, others, including myself, believe that you should recognize the existence of these possible “problems” and address how they are distinguishable or how you can work around the negative effects of any of these “problems.” By doing this, you look better. It shows the investor that your have done your homework, that you thought of all potential problems, and know how to work through them. This section of your plan is not easy. You have to do TONS of research for this section. If at the end of writing this section you think you have found everything, research some more. Also, make sure your sources are CREDIBLE! This means, do not go to some random website and start gathering information for use in your plan. Use recognized sources from state and government agencies. For example, if you want to market you product/idea/concept in you city, you local chamber of commerce may have some useful information. If your product/idea/concept is so new that no current data would be helpful, use data from market trends that support your product. For example, if your idea is a new electronic toy aimed at 5-10 year olds, find data that shows how the electronic toy market is expanding, any increases in sales, and how your toy will benefit from this trend. Also, make sure your statistics are current. Do not use 1999 statistics as a representation of current market trends. Also, use graphs and charts as applicable. If you are trying to show that the market you are trying to penetrate has grown over the last five years, then show a graph. However, if you are trying to show the sales of a product for a certain year, DO NOT show a graph. (Too many graphs and charts can begin to jumble your points and ruin the flow of your plan. Also, too many of these illustrations can be confusing.) *NOTE* - Everything that is underlined is a personal opinion. Know your audience when presenting, because some investors love picture representations. Use your judgment when constructing this section and you should be fine. Lastly, make the statistics relevant and specific. The biggest problem I see with draft business plans is that they are too vague. Most read like a summary and provide no evidentiary support for their assertions. Your plan MUST be specific. Remember, you are trying to get somebody to invest money into your product/idea/concept. Wouldn’t you want to know every detail of something before you invest money? Think about it like buying a car. Presenting a vague, non-detailed, unsupported business plan to an investor is like asking him/her to buy a car by just looking at the color. I would rather see an ugly plan full of applicable substance than a “pretty” plan full of vagueness and summaries. When writing this section, put your self in the investor’s shoes. If you were potentially investing thousands of dollars, what would you want to know? Think of all the questions a potential investor would ask. Once you have addressed all possible scenarios and found all applicable data, you should feel comfortable in this section. The only thing left to do is to compile all of this information into a cohesive format. I will discuss the Marketing Plan first. The Marketing Plan is the section of your business plan that discusses how you are going to make the public aware of your idea/concept/product in order to accomplish your objective. Your objective can be whatever you want, as long as it pertains to the Marketing Plan. For example, if you are pitching a restaurant idea, your objective may be to achieve 100% occupancy every night with a 3.5 time turnover rate. Once you have defined your objective, you can then formulate a plan to accomplish that objective. You get the idea. Make your plan easy to read and easy to follow, but make it creative and feasible enough to be attainable. For example, do not state that you are going to expand to different stores without having reached such an agreement with the stores you plan to expand in. Instead, you may want to start small with a Marketing Plan that incorporates the internet, direct marketing, and print media advertising. Remember, you do not have to worry about putting actual financial figures in this section, so be creative with you plan. However, also remember that the cost of marketing will be incorporated in your plan later on, so do not go crazy with you advertising/marketing ideas. 3. Materials used in making your product. This does not mean that you state that you used a sewing machine to make your clothing line. This means that you say that your clothing is made of cotton, rayon, nylon, etc., and that you point out specific “quality points,” such as hand stitching or expensive fabrics. At the end of this section, the investor should know what the product is and everything relevant about the product. Some people add pictures to this section. I feel that this is okay, but if I were an investor, I would much rather have an actual prototype in my hands to explore. Once again, this comes down to a matter of style, so I leave that decision up to you. Many people in our community have asked me to talk about business plans. I decided that it was the next logical step and am proud to present the business plan series! Over the next couple of weeks I will discuss a different portion of a typical business plan. KEEP IN MIND, there are many different ways to organize a business plan and that sections have many different names. However, for the most part, each section in a business plan, regardless of name used, accomplishes a specific task. The importance of each section depends on the product/idea/situation you are pitching and to who you are pitching. I am only going to give you a general layout of a business plan. Could you use the layout I give you for a business plan? Absolutely, I have used this very format in some of my business plans. However, as I mentioned above, there are many formats. If you do not feel comfortable with my format, do some research and find a format you are comfortable with. With all of this in mind, we begin with the first section of a business plan, the EXECUTIVE SUMMARY (hereafter “ES”). The ES is the first page, with the exception of the cover, that your potential investor will see. The ES is where you grab the investor’s attention. Think about an ES like this. The ES is the equivalent to the first paragraph in a novel. You have only a few sentences to impress the investor. DO SOMETHING STUNNING! The ES is the part of the plan that allows for the most creativity. My advice, GET CREATIVE! Do you see what is going on here? This may grab some people’s attention and it may not others, but no matter who you are, I know this paragraph instills, at least, a small amount of curiosity. In fact it instills just enough curiosity to read on. If this happens when investors read your ES, mission accomplished! There is another component to your ES. Once you have grabbed the reader/investor’s attention, talk a little about your idea/product/situation. Tell the investor what “it” is. Do not go on for pages, but in a few CONCISE paragraphs, tell the investor about your idea/product/situation. Lastly, an ES should also have a brief paragraph about your potential customer base and why your idea/product/situation will be successful with the customer base you have identified. Your ES should encompass your entire business plan in only a page or two. You have a pitch, information about the idea/product/situation, potential customers, and why the customers will buy your idea/product/situation. These are important aspects of an ES and are necessary to ensure that you potential investor does not become a lost opportunity. So you have your business plan, now what?! Who do you pitch it to? What do you pitch? How do you contact the people who you want to pitch your plan? Although these questions can be answered in order, (investors; my business plan; and talk to them) preparation, planning, and persistence are key. Your plan is complete, but is it really? I suggest you review and revise your plan at least one more time before the pitch. You must make sure that EVERYTHING is correct. Think about it from an investor’s point of view. Would you give your money to somebody who promises to take care of every detail, but at the same time misspells or misstates vital information in his/her business plan? Also, I strongly suggest you do a practice pitch. Pitch your plan to somebody you trust, but not to somebody that is going to give you a “sugar-coated” reaction. For example, you business family members, family members, and friends are out! Somebody that would be valuable to your cause could be a professor/teacher of yours, an “expert,” and/or a neutral third party that will give you honest advice. Make sure you bring the whole package. When Chris Clifford (one of my business family members, and the author of the commercial real estate piece on this website) and I pitched our restaurant idea to the vice president of restaurant development for Station Casinos, we did not bring the whole package; therefore, even though he LOVED the idea, he could not accept it because pieces were missing. We had our business plan, but we did not create our management team or any visuals as to the restaurant layout. These overlooked items prevented a great idea from becoming a reality. Do not let this happen to you. If you’re pitching a restaurant concept, bring your plan, visuals, management team, and income source, if applicable. Always bring MORE to the table than the investor could possibly ask for. If he/she asks for a sample, show him/her three. If he/she asks for your management team’s credentials, show him/her your management team’s credentials, your credentials, and your operator’s credentials. The goal is to make the investor realize that because of your organization, drive, ambition, ideas, and credentials, investing in your idea is minimum risk and maximum return! Although you may have compiled all this information, do not throw everything at your potential investor at once. Break your plan into parts. Give the potential investor each part as you pitch it. Do not overwhelm him/her. Remember, you are trying to get this person to give you his/her hard earned money, and their comfort in your idea and ability is key! Last, but most importantly, how do you find investors to pitch your idea? The answer is simple, go out and look! Chris and I got our meeting by calling that guy’s secretary every day for two weeks. He finally said, “You have fifteen minutes to pitch your idea.” The meeting lasted one and a half hours. Be persistent. Find your investors. Ask yourself, “Who do I want to invest in this project?” Once you discover this answer, track him/her/it down and get your meeting. Use all your connections! Friends, family, business partners, business family members, colleagues, fellow students, teachers, professors, clergy members, and/or banks are all possible investors or can lead you to other possible investors. Remember, do NOT get discouraged and keep plugging away! You will find an investor, and once you do, the rest is up to you. If you believe in your idea and put sincere hard work into it, you will find investors! I have written about two main types of business families. The first type is comprised of members that all have the same area of expertise, while the other type is comprised of members with different areas of expertise. As I mentioned before, both types are effective depending on what entrepreneurial venture you want to attempt. However, even if you have already established your business family, there are some extra “services” that will be essential to helping you create your fortune. First, you must possess EXCELLENT networking skills! Do not be afraid of making contacts, meeting new people, and taking a chance. Through networking, my business family member and I obtained a meeting with the Vice President of Restaurant Development with one of the LARGEST hotel corporations in the United States. How do you network? Well, let’s start with the small and work our way to the big. Start small with people you work with, live near, go to school with, and/or associate with. These people are your base level. Think of it as six degrees of separation; you know somebody, who knows somebody, who knows somebody, who knows somebody, who knows somebody, who knows, for example, the President of the United States. Well, maybe not the President, but somebody important, established, and/or looking for a big investment. Next, go BIG! Start with people you have never met. The Internet is a very useful tool for this. Start a webpage, like I did, where you can meet like-minded individuals who are looking to make a lot of money and want to do it now! You will be surprised who you meet and what you will accomplish. Second, have at least one IDEA person. The fact that we are new entrepreneurs means that we have not yet established ourselves in the financial community. If you have average ideas, you will get below average interest in your ideas. If you have above average ideas, you will get only average interest in your ideas, but if you have EXCELLENT ideas, you will get ABOVE AVERAGE interest in your ideas! Your interest factor will always be a step lower than the idea potential. However, once you have established yourself in the financial community, the sky is the limit! Last, and most importantly, have a good relationship with a MARKETING COMPANY! I deal exclusively with one that operates out of Las Vegas, Nevada. They have been my backbone in creating interest and networking in my entrepreneurial journey. Will it cost money? The answer is YES, but as the old saying goes, “it takes money to make money!” You have to be willing to make the investment in yourself now, or you will always wonder “what if?” Now is not the time to be “Captain Conservative” with your finances. Does this mean take every chance you can? ABSOLUTELY NOT! As I stated in previous postings, you have to choose carefully when selecting an entrepreneurial venture. However, as I mentioned before, as entrepreneurs, we established long ago that we are willing to take a risk, and what better risk to take then an investment in yourself? This entire time, I have assumed that everyone who visits this site already has an idea of his/her entrepreneurial venture. It has been brought to my attention that many new entrepreneurs have no idea where they want to begin their monetary quest. Many new entrepreneurs are seduced by the idea of being financially secure, closing the “big deals,” and making the “big bucks,” that they listen to every idea and think that they are all good. This can be a COSTLY mistake! We are all here to try to increase our cash-flow and pad our bank accounts, but this cannot be achieved through trying EVRY new idea that is presented or by investing in a product because the creator of said product is a friend or a member of your business family. As new entrepreneurs we have to be EXTRA CAREFUL in where we want to START our financial journey. Start with what you know! If you are college educated with a B.A., B.S., etc. degree in, for example, English, do NOT dive into a real estate deal because you heard it was a “hot investment.” Start with what you know! Many people lose their saved investment capital on ONE deal because they took someone else’s advice and did not educate themselves on the subject. Recently, this country had a real estate boom. Hasty, hot-tempered, and careless new entrepreneurs lost a lot of money during this boom when they “got in” too late. The economy went down, the stock market tumbled, and interest rates soared! By the time these new entrepreneurs had closed escrow on their so-called investment property, the seller’s market had changed to a buyer’s market, and the dream of “flipping” the property went out the window. The new entrepreneurs were having trouble with making the mortgage payments and as a result had to “dump” the property, hopefully for a break even margin, but most likely, for a loss! DO NOT LET THIS HAPPEN TO YOU! Start with what you know! Going back to the example with the new entrepreneur with the B.A. in English; do not jump into an investment, venture, or project that you know nothing about. Play to your strengths! If you have a B.A. in English, why not try to find a literary work to publish. Maybe fund a writer to create a book, novel, novella, short story, play, or other production. The point is, start with what you know! Do not be afraid to say NO! As a new entrepreneur, ideas are going to be coming your way through many different channels. You will have some ideas, your business family members will present some, friends and family members will present ideas, colleagues, co-workers, and every other relationship one can have with another human, will present ideas to you. The problem most new entrepreneurs have is saying NO! If you do not like an idea, say so. It does not matter if your spouse presents the idea to you. Let them know whether or not you like the idea. Whatever you do, do not postpone your answer, UNLESS the idea has merit and some details need to be “ironed out” or you want to discuss the proposition with your business family. Accepting a bad project or considering doing a bad idea because the presenter is a friend or family member will lead to lost time and money! As a new entrepreneur we have little time and less money and cannot afford to lose either! Let me make one thing clear, I am not advocating you to be harsh, rash, or rude to a person whose idea you do not like. I am simply saying, do not waste time or money on a bad idea regardless of who presents it. Simply say something to the effect of, “that is not an idea that I am interested in right now.” It is not easy to say “no” but sometimes it has to be done. This situation will arise many times in your entrepreneurial journey and knowing how to decipher good ideas from bad one’s will be one key to you success. As Alexander Graham Bell once said, "[t]he most successful men in the end are those whose success is the result of steady accretion... It is the man who carefully advances step by step, with his mind becoming wider and wider - and progressively better able to grasp any theme or situation - persevering in what he knows to be practical, and concentrating his thought upon it, who is bound to succeed in the greatest degree." Each week, or maybe sooner, I will present a small idea or business opportunity that will help you achieve your financial goal. This week, I present the idea of “free money!” Before you get too excited, let me explain. Some of us new entrepreneurs have a little capital lying around in a checking account, low yield savings account, or maybe under our mattress. The point is, while we are creating ideas and investments, the finances that we already have are not working for us or are not working as hard as they could. I suggest that you move your finances to an ING Direct Orange Savings Account. First, ING is not paying me to say this, but I do own an account with them and I am extremely satisfied. Second, your money will work for you while you create projects with your business family. Last, it’s FREE MONEY! Easy setup. Just go to www.ingdirect.com and click on “open an account.” Follow the on screen directions and you’re done. 4.35% NO RISK compound interest. This interest rate is one of the highest in the country and has no risk. Are you going to get rich off of it, probably not, but you will make money on your capital while it is not in use. FDIC insured. Your money, up to $100,000, is insured. This means that if the company should go under, which would result if the American economy crumbled, your money, up to the $100,000, will be returned to you. If you open an account with $250 or more, ING Direct will give $25.00! That’s it. You get a great interest rate and $25.00 free dollars! The only catch is that an existing ING Direct Account holder has to “invite” you to receive this offer. Fortunately, I am an existing ING Direct account holder. Post you e-mail address at the bottom of my page as a “comment” and put ING next to it. I will respond and get you $25.00 for free! Your money can be transferred to and from your existing checking account. This means that if you want to make a withdrawal from your ING Orange Savings Account, the money will be wired directly to your checking account, for free, in one business day. Access to your money. While Certificates of Deposit (CD’s) have greater interest rates, they are set for a fixed term and cannot be withdrawn, unless you want to pay a SUBSTANTIAL penalty, until the CD matures. The maturity date can sometime be as far away as FIVE YEARS! NO FEES! There are no minimum account fees, no statement fees, no inactivity fees, and no monthly maintenance fees. There are no hidden fees, period! I suggest that you check everything out for yourself. www.ingdirect.com is the website. 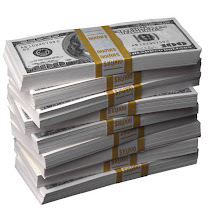 Make free money and make your money work hard for you! As the old saying goes, “two heads are better than one.” This holds the most truth in business ventures. New entrepreneurs are just starting their financial journey. Most of us have only a small amount of capital, but enough ideas to run an advertising firm for years. Some of us can make the entrepreneurial leap on our own, but most of us need a little help and support in order to make our dreams a financial reality. The business family is your group of similarly motivated individuals that help make ideas become realized. The reason it is called a family is because you MUST be able to trust the group you help assemble. Business partners can sometimes be untrustworthy or might only be out to achieve their own ambitions. One key to success is to be able to decipher between the two. Your business family is your most trusted group of associates that you can look to for support, help, motivation, finances, and/or ideas. In order to prevent any power struggles in the group, no one person should be designated as the “leader.” Instead, when an idea is introduced to the group by one member of the business family, the member that created the idea should be the one dictating the direction of the project. If two people think of the idea, then the development of the idea should be split into two parts. Keep in mind that there is no minimum of maximum number of members of your business family. There are two ways to organize the members of your business family. First, your business family can compose of members that share the same area of expertise. For example, if you create a business family with members who all have a comprehensive understanding of the real estate market, your entrepreneurial venture should probably be in real estate investment and/or development. The other way to create a business family is with members who all have different areas of education. For example, my business family, consisting of three members, including myself, have high levels of education in the law, real estate, engineering, management, economics, and food. This wide range of education gives us many options as to our entrepreneurial journey. Either organizational way is fine and can lead to mounds of success. 5. Your business family is your foundation on which to build your entrepreneurial empire. We are young, old, and middle-aged. We are all genders, religions, ethnicities, and nationalities. Everything about us is different, except for one primary goal we all share...to become filthy rich! This is the beginning of the journey that we will all share together. Every week, for as long as this blog runs, information, education, ideas, tips, and motivation will be shared by myself and by all members of this blog in order to accomplish the goal of financial security. Let me clarify something first. This is not a "get-rich-quick" blog, this is not your typical infomercial "follow-my-plan-and-you-will-be-rich" blog, and this is most definitely NOT a "buy-my-product-and-become-rich" blog. This is a forum of idea sharing and education that will create new business ideas, new networking contacts, and new financial goals! Let me tell you about myself. I am a second year law student, with a Bachelor of Science degree in Hotel Administration, and am a licensed real estate agent. I work for a law firm where I create corporations for clients. I also engage in contractual law and estate planning. Now let me tell you what I am not. I am not a millionaire, I am not a real estate mogul, and I have not written five New York Times Bestsellers. I am a new entrepreneur like everyone else here. So, you might be thinking, "Why am I going to waste my time listening to this guy if he has not made the money yet?" I say to that, the operative word is "yet." A member of my business family and I are currently involved in, and met with the vice president of restaurant development for a MAJOR Las Vegas hotel corporation; a real estate development project with two members of my business family; and more than one "product line" ideas. Does these experiences give me some kind of edge over another new entrepreneur? Maybe and maybe not. That is the point of this EXPERIENCE! To learn from each other, develop with each other, and brainstorm with each other in order to make a reality of the dreams we all share. Every week a new posting will be written by myself and other guest writers from my business family. As time passes, we will each gain insight and ideas to help from each other create millions of dollars. I ENCOURAGE others to post their opinions, successes, failures, applicable information, etc. on the site, this way when we all come back, we will see what will develop. As Anna Pavlova once said, "To follow, without halt, one aim: There's the secret of success."